Really nice area, the hotel staff really friendly, really helpful with everything. The room was nice and clean. I would recommend, just one minus the car park. Great hotel. Nice size rooms and lovely location in St Mawes. Superb location overlooking the harbour, the comings and goings of fishermen and the ferry boats. Comfortable room with large flat screen television. Shower worked well which was a relief after reading some of the reviews. Our room was perfectly situated with a fantastic balcony overlooking the harbour...perfect! The room was very well equipped and spotlessly clean. Beautiful settings, apart from the weather unfortunately. Staff at breakfast exceptional. Staff warm and welcoming - nothing was too much trouble. 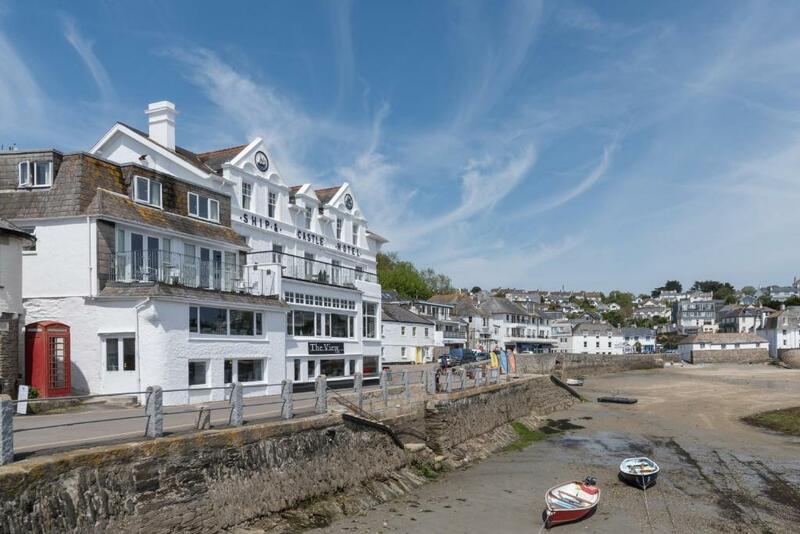 One of our top picks in Saint Mawes.On the pretty quay in St Mawes, where the open sea meets the Fal and Percuil rivers, this hotel offers a bar, lounge and restaurant with picturesque views. There is free Wi-Fi in public areas of the building. The Ship and Castle Hotel has 2 dining areas, where a daily changing menu of traditional and modern food is served. Homemade cream tea is also available, and a range of drinks is offered in the bar. Rooms are spacious and feature a TV and tea and coffee making facilities. Each has its own en suite bathroom with a hairdryer. St Mawes Castle, one of Henry VIII's coastal artillery fortresses, is a 10-minute walk from The Ship and Castle. 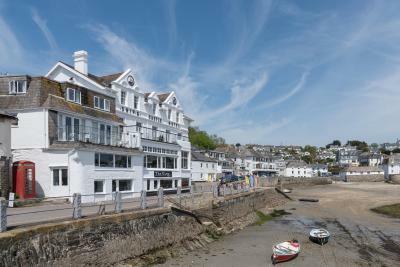 The charming village is ideal for walkers, and you can take ferry trips to Falmouth. Ship and Castle Hotel has been welcoming Booking.com guests since 13 Feb 2013. When would you like to stay at Ship and Castle Hotel? Features include a flat-screen TV, hairdryer, and tea and coffee making facilities. This twin room features a view and electric kettle. House rules Ship and Castle Hotel takes special requests - add in the next step! Ship and Castle Hotel accepts these cards and reserves the right to temporarily hold an amount prior to arrival. The hotel is in need of a bit of TLC. Rough around the edges (chipped wood work, different colour paint used to cover marks on walls etc) but overal a nice hotel. Breakfast staff needed better training and support. They seemed very nervous and didn't smile at all. We weren't greeted when we arrived for breakfast, nor was the menu explained to us - I realised on the second day that several items could be ordered that weren't part of the buffet. For the price we were paying I would have expected a better breakfast - nothing to induce us to book for diner. We could hear the people in the adjacent room...talking, bumping around etc. Not sure if they were just noisy, or the room could have benefitted from better soundproofing! No towel rail. No biscuits in room. Not a huge choice at breakfast. Staff non communicative. No parking, and unable to turn radiator off in our room as weather was warm for February. Also cost for drinks and evening meal was charged automatically to my credit card without a option to review prior to payment- not good as evening meal was less than satisfactory. no on sight parking web sight did not mention this. bar ran out of some stock.hotel had a staffing issue. Abit noisy with the rooms up stairs which keep us awake..